Bowling has been a vital part of Helen Martin Bassett's life for seven decades. 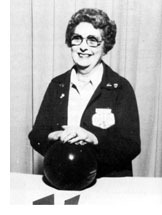 She began bowling in 1928 and was still at it in the 1995-96 season when, at the age of 88, she averaged 127 for 87 games. In between was a lifetime of service to the sport, plus great skill on the lanes that allowed her to win 32 city championships between 1935 and 1968. 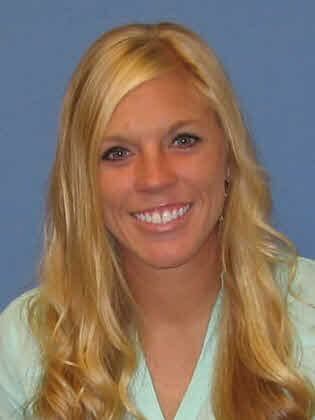 In all, she won three city singles titles, 17 doubles, four all-events and bowled on eight team champions. Working endlessly to interest women in her sport, she played a key role in organizing the Peoria 600 Club, is a member of the Greater Peoria Bowling Association 700 Club, served 21 years as president of the Peoria Women's Bowling Association, and was state secretary of the Illinois Women's Bowling Association for 20 years. She has bowled in 57 Women's International Bowling Congress tournaments, and is a member of the Hall of Fame of both the Illinois Women's Bowling Association and the Peoria Women's Bowling Association.